Radhakrishnan B. Menon is a post graduate in HRM from the Tata Institute of Social Sciences, Mumbai. He has over 30 years experience in HRM in diverse organisations, serving as Executive Director (HR) of Cadbury (ISC), Vice President (HR) of GE Lighting India, and Vice President (HR) of Bausch & Lomb India. Radha has trained in GE Crotonville and also had a stint with GE Plastics Europe based in Netherlands. 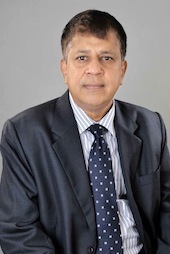 He continues to serve the Board of Cadbury India. In September 2007, Radha ventured as a entrepreneur and found LBW (Leadership in Business Worldwide) Consulting, a leadership development consulting organisation. He now consults for diverse organisations in organisation development, leadership capability building, and human resource solutions. He is also an Executive Coach to a number of CEOs and senior leaders. Creative thinking, sports â especially cricket and golf â are his passions. Radha writes of Times of India on contemporary leadership practices.